On Saturday morning the stars aligned and for the first time in much too long I was present on my mat. Sometimes it’s tough to know what it means to be present when our lives and our minds are so busy with me, me, me. But for an hour on Saturday I was able to find presence and defy judgement through breath and flow; freedom while working limbs and trunk into shapes not usually made in the span of a normal day. When you find that elevated place of spiritual liftedness it’s a a lot like the illusive runner’s high. Not until you meet it do you recognize it’s been there all along, but you have been the thing standing in its way. Toward the end of class we worked into Bird of Paradise. I stood on my right leg with my shoulder tucked under my left knee, arm wrapped underneath my left calf, hand holding the outer edge of my foot. To make the bind, I needed to wrap my right arm around my back to meet the left hand, while pressing through the right foot to find leverage; to stand up, lifting the knee, while pretzel wrapped around myself. I worked to the point where my loose right arm met its resistance (so far from where it would have liked to have gone), but instead of feeling any negativity toward myself or the pose, my spirit was set free in the act of the trying. I laughed, and standing in mountain with hands in prayer, smiled under thumbs at the site of my fellow yogis “going for it.” Twisted and bound and strong and upright, many of them even straightened the lifted leg. Like breathing flesh and bone statues, working their bodies into the shapes of birds, I felt profound pride. The moment had nothing to do with what I could not achieve or never have been able to or how I felt about my differences from others or how I stood alone. Gratefulness in a moment, in an experience far beyond the boundaries of my own vida loca. Have you ever had an experience like this on or off the mat? Do you lose gratefulness sometimes and have difficulty locating it again? Source. Steps 1 and 2 involve a bound lunge. I don’t know what it is about the way I am shaped. I can never get my arms to wrap around enough to be able to grasp my hands into a bind (step 3). Even in revolved triangle, getting my hand into the hip crease is tough. Maybe my arms aren’t long enough? Most people I know are aware of how important yoga is to me in my life. What they may not know is what I’ve never written about; that it can sometimes leave me confused and frustrated, wrought with angst over the time spent fighting my own body to do what I tell it to do. It’s hard to understand if you’re not a practitioner. Strangely, it’s almost as hard if you are. Yesterday’s class was the first in ages that left me feeling more confused than enlightened. I’ve been processing it since I rolled up my mat to go home. There’s a saying in yoga to, “leave it on the mat,” but this is sometimes easier said than done. So what was it that has gotten me so perplexed? 1. The class was a fire practice where we generated heat through vinyasa (flowing movement through breath, anji mudra (clasped hands with pointed forefingers), and kriyas (repetitive and fast one minutes of movement meant to prepare the body for meditation). The fire that is built also leaves a person drenched in a pool of sweat (or having achieved maximum detoxification, depending on how you look at it). 2. My time on the mat was unbalanced. One moment I would be flowing just fine and out of nowhere would lose balance and fall over. a. I held tree pose on the left (was even able to throw in a little backbend with pointed hands overhead), but couldn’t do so on the right. b. I had moments of bliss like when I “flipped my dog” to the left, a full expression looking a lot like a rainbow, but found my right tricep so stiff and refusing to budge (like it hit a wall) making the possibility of a flip impossible. c. My one legged chaturangas felt better than ever until my wrists locked up making it necessary to sit out the final vinyasa flow. d. Even crow (my nemesis), which I can never get into properly became yin and yang. From chair pose down to a high toed squat I found the perfect placement for the perfect crow. But just like that, with all the concentration in the world, it didn’t last and my placement slid. It was over. e. Half-moon was a cruel joke. Determined to make it work on the right (after massive failure on the left) I ran out of the room for a block to help me out. When it was time to try I leaned forward to find solid hand placement on the block, but despite all of my determination, struggled until the class had moved on. 3. The clarity in my mind led to more confusion, if that makes any sense at all. I felt clear, but confused. Fog that I didn’t know had been present in my head had lifted, but left in its place was an emptiness. I must have looked like my own little island out there alone. I surely felt that way. Around me were nine glorious female souls focused and floating strong on calm waters. I envied the clear skies and smooth energy above them. How elated they must have felt after class having found strength from the fire. After all of this pondering the simplest explanation is that yesterday’s practice was a mirrored reflection of how my internal fire has been flickering. I’m fighting for balance, trying to find my way on rocky seas, hitting walls that I wish could just be crashed through. But it is what it is and I’m finally ready to leave it on the mat. First things first, I need to go and clean off the remnants from what happened there yesterday with Manduka mat cleaning spray and a damp towel. At least I’ll be sure that my next practice will begin on a freshly cleaned slate. Do you meditate? Do you have days like this on the mat? What do you do when your time on the mat brings up stuff that you would rather not deal with? How do you move forward? I went to yoga this morning. The sun salutations were plenty. One legged chaturangas, too. So many utkatasanas (chair pose), core cultivation, crescent lunging, crow (side crow is beyond me; watch superstar Kathryn Budig’s unbelievable video below) and twists. My arms, back and sides were awaken. They are sleeping again now, but will probably scream at me tomorrow morning after a long night’s rest. I walked out knowing that the addition of weekly guided vinyasa is going to help me build strength in areas that running alone can’t provide. Will I have the stamina for both? This remains to be seen. On the schedule tomorrow is any easy 6-8 miles. Compared to this morning’s yoga class it will be like a good old walk in the park! Tell me running friends…. Do you incorporate yoga and/or strength training to improve performance? What began as a pretty somber morning (with matching post) has turned into a pretty great day full of stupendous things to make any lady happy. 1. Gluten free me is feeling fab. Sugar; a thing from my long distant past. I cannot believe I’m not struggling! 3. 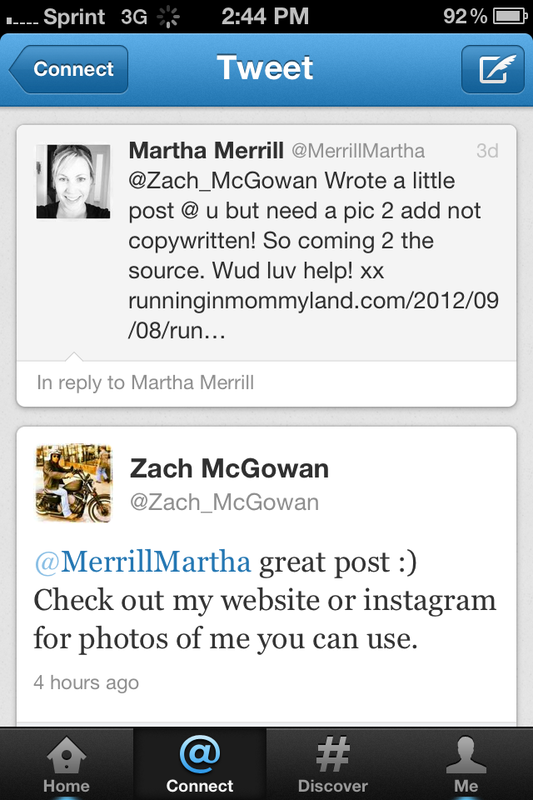 The handsome and talented Zach McGowan, Jody from the Showtime show Shameless, responded to a tweet I’d sent asking for permission to use his image on the blog. He said, “yes.” He didn’t have to say anything. I practically did a cart-wheel I was so excited that he’d read the post and liked it. Small satisfaction for the “work” that I do. 4. Anna Paquin, otherwise known as Sookie our favorite fairy, has had twins. No word on the flavor of the babies as no names have been released. It probably seems silly to consider the birth of babies to a person I do not know a highlight of my day, but as a mom of twins I know what an unbelievable day that is. Twin pregnancies are hard. Twin babies often have more problems in utero. I’ve been there and I know the relief of finally having them born. Congratulations to her and her vampire husband Bill (Steven Moyer). 5. It goes without saying that the weather outside is just perfect (sunny, mild, lovely). Everyone is talking about it, shocked that it finally turned so after the brutal never-endingness of our Southern Summer. What was more perfect than the weather was watching the children on the playground for almost two hours under our favorite tree. Talking to the moms for that long was like the frosting on the cake that I won’t be eating anytime soon and haven’t an urge to eat anyway. How has your Tuesday shaped up? Got this tweet after the yoga. It must have been the energy I conjured with all that heart opening. If you build it, they will come! The whole purpose of beginning this blog was to document my marathon training while living this crazy place called Mommyland. It’s with relief that I am now coming full circle as training for race number two officially begins on September 24th. In the space between the last marathon and now I have worked and re-worked the plan making educated and experience based substantive decisions, which I will do my best to follow. 1. I will again be following Hal Higdon’s Novice 2 schedule, but instead of three-day mid-week runs, I will be combining the mileage to run only two. This will mean that those mid-week runs will be longer, but I’ll have more days in between to rest and recover. I am hoping that exhaustion from too many successive runs in a row (which was an issue last time) will be resolved with this plan. I will also use the Galloway system of strategized walking, as I do believe it works and will help me go farther with more control. 2. I’ve agreed to help out my most favorite yoga instructor on Saturday mornings by checking in her students in return for a free pass to her phenomenal class. Last marathoning go around I was so consumed by the run that I neglected my yoga, neglected a huge piece of what grounds me to my life. Agreeing to be at the studio every Saturday will ensure that my yoga practice is built into the schedule. It will also give me an opportunity to re-build the dusty resume and re-establish the fact that I am consistent and committed and pretty competent at tasks in which I’m given. 3. Long runs, then, will have to happen on Sundays or Mondays (last year I ran long on Saturdays). The most gratifying runs are the long ones, for me. I am looking forward to those hours and hours on the road, out there on my own two feet, floating alone inside my own busy brain. 4. I’ve been off of sugar for twelve whole days, off of Diet Coke a week longer, and I’ve been much more careful about the overall contents of things like cereal and yogurt and so-called healthy snack bars and drink supplements. An ongoing process, I am sure there will be much more written about my emotional connectedness to food as it’s the one part that I still haven’t fully figured out. I should mention another change, too. I will NOT be getting on the scale anytime in the near future. More about that to come. And so I am ready to go. The last factor (of which I have no control) is with mother nature. Yes there will be days in the next months that I will have no choice but run in the drizzle and/or rain and/or the early morning freezing cold. I can handle all that. It’s part of the challenge. This heat, though, needs to go. September marks a new beginning for me in so many ways and the muggy humid air has gotten very very old. What races are you running? What will your training plan look like? 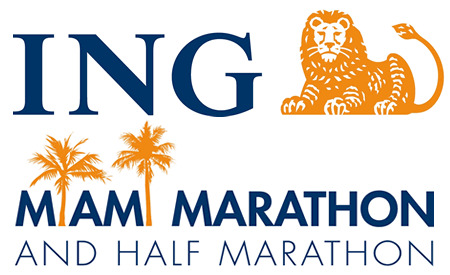 ING Miami Marathon and Half Marathon. Joanna, from Poppy’s Style and I are running it! Anyone else want to come to the party? Instead of running on Saturday I headed over to Evolve Movement (North Raleigh) where I paid the drop in fee to attend Tina’s (one of my favorite teachers of all time) class. Before savasana and after our flow (complete with what felt like a hundred or so chaturangas), Tina challenged the class to a bit of core work that I had never tried. In the background she cued up Eminem as the audible motivator for the upcoming task (my kind of girl). 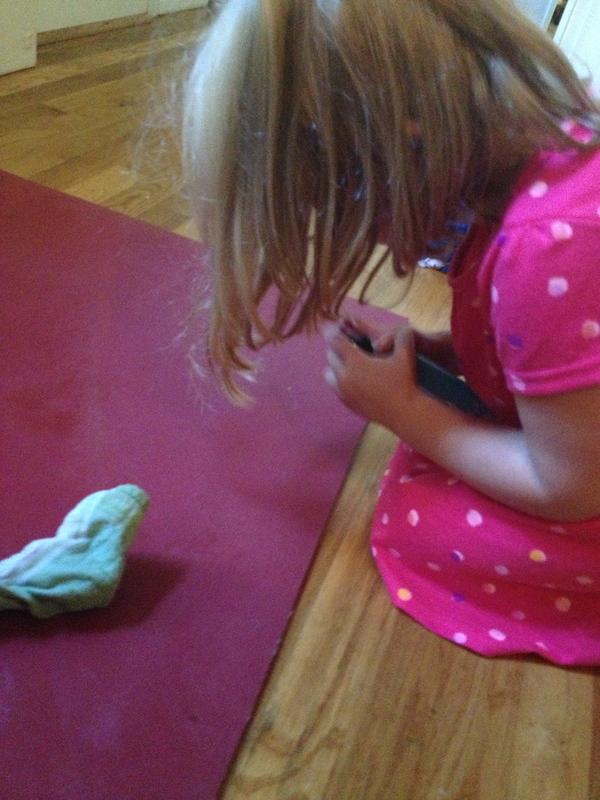 With thinly folded blankets placed under flattened feet (off the mat and on the slippery floor) she demonstrated for the class. Beginning in straight armed plank the goal was to muster as much core strength as possible to keep hands planted in place while pulling straight legs into downward dog. From dog, by sliding the blanket back along the floor, we were supposed to end with straight legs in plank, core engagement creating the steady smooth movements. Back and forth (slowly, as it is difficult) Tina made little grunting noises (more for our benefit than hers I think) and told us to pray to whomever we needed to pray to for strength during what would turn out to be an incredibly intense ab workout disguised in a sneakily fun package. I could barely get the blanket to cooperate. As I tried to pull my legs into dog my knees buckled and bent to the floor. The blanket slid everywhere but where I needed it to go and as I maneuvered back to plank, slipped too far off course and again ended on my knees. Back up I went to try try again, sweat dripping down my face, determined to get the blanket and my body to cooperate. When I was too tired to continue, smiling and exasperated by the degree of hidden toughness, I sat to watch the attempts of the others who to my relief were also fighting to control the blankets underfoot. Two days later on this Monday morning I can still feel the effects of the class from deep within my belly. My side abdominals pulled and engaged when I reached up to get out of my bed and I can feel the deepest part of my core, my support, alive and engaged. Ab work ranks below arm work on my list of favorite things to do, but after a summer of little running and lots of S’mores, they are at the top of my goal list (at least until marathon training kicks into full gear at which time I will try to maintain balance by continuing the practice). “Blanket Sliding” is being added to the arsenal of healthy activities to make me strong and centered as I enter back into the land of personal health and well-being. Try it! And let me know what you think! 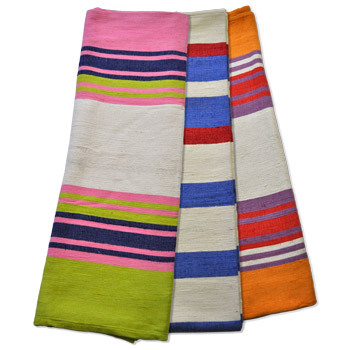 Yoga blankets from YogaAccessories.com. Props are great additions to a fulfilling yoga practice. I might need to buy the one in the front of the photo, but will use a rolled up towel in the meantime. You are currently browsing the Yoga category at Running in Mommyland.